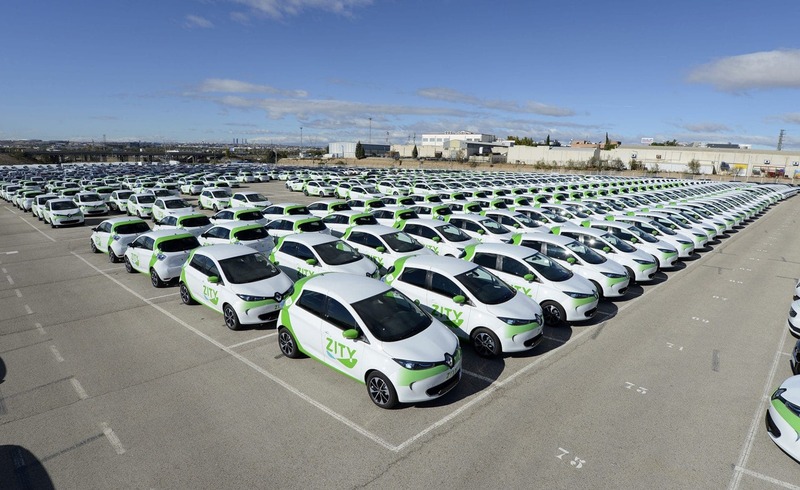 Ferrovial Services and Renault have launched ZITY, the new carsharing service launched in Madrid last December. With a 500-strong fleet of 100%-electric vehicles covering an area of 75 square kilometres, it is destined to became the city´s news sustainable mobility solution. 1910 saw the start of the works on Madrid´s Gran Via, an artery destined to become the west-east communication axis of the Spanish capital. At the time, Madrid had just over 600,000 inhabitants and barely any automobiles on its streets. Today the city has 3.15 million residents and a fleet of more than 1.9 million vehicles. Walking down Gran Via at rush hour testifies to the mobility and pollution problems caused by vehicle traffic in the urban centre. This reality is not exclusive to Madrid: the majority of major European cities suffer similar problems. Many of them have taken measures to address them, such as restricting access by private vehicle to certain areas or levyng a fee for entering the city centre by car. In the case of Spain´s capital, the City Hall has launched the Air Quality Plan A that, among other measures, contemplates promoting the use of zero-emissions vehicles and extending the number of residential priority areas. It is in this scenario that ZITY, the new carsharing service launched by Ferrovial Services and Renault in Madrid, was rolled out last December. 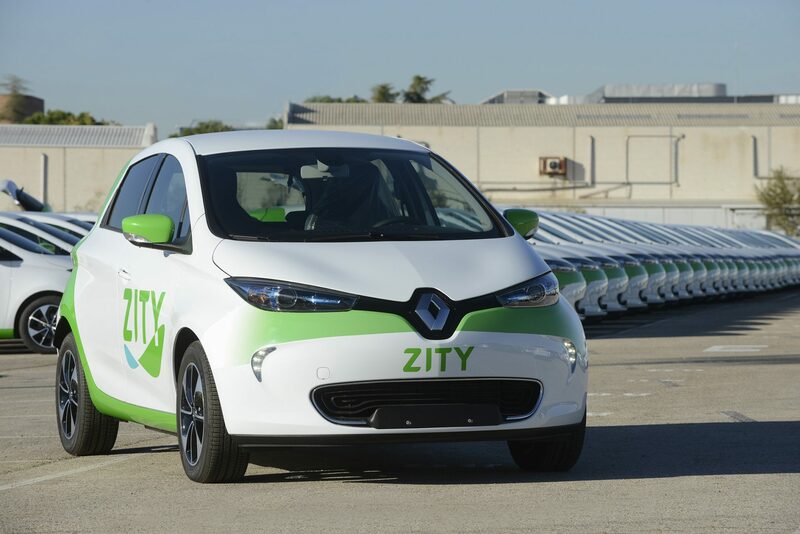 ZITY is starting with a fleet of 500 ZOE Z.E 40 vehicles, 100%-electric five- seaters with a 300-kilometre range, covering an area of 75 square kilometres that includes the 60 square kilometres inside the perimeter of the M-30 highway as well as a few additional zones outside of it such as Sanchinarro, Las Tablas, Hortaleza, el Barrio de la Concepción, Quintana, Pueblo Nuevo and areas of Peñagrande and Mirasierra. As explained by the Managing Director of ZITY Javier Mateos, it functions in a very simple way: “Our vehicles can be rented by the minute from a mobile app. You download the free app, register as a user and you can then rent any of our cars“. The price is very competitive: 0,21 euros a minute. Because the vehicle is 100% electric, users can park in all the blue and green regulated parking spaces in the city of Madrid and access residential priority areas without restriction. ZITY also has its own parking spaces and, thanks to its powerful detection system, offers the posibility of leaving the car in underground car parks. Although the rental has to start and end within the 75 square – kilometre area of coverage, users can go where they like. This freedom is enhanced by the “stand-by” charge, which allows users to stop the service anywhere and reserve the car for as long as they like before resuming their drive for 0.07 euros a minute. “Going from Chamartín to see a film in a shopping centre on the outskirts of Madrid and returning to the city can cost around 20 euros“, says Mateos. This charge is one of the exclusive features of ZITY, which is added to others such as users not having to pay a fee to register. Furthermore, they can report any damage from the app and will enjour a 24-hour rescue service. The vehicles operate without a key and the contract does not contemplate having to pay a deposit. All the information on this service is available on the www.zitycar.es.website. The carsharing service launched by Ferrovial Services and Renault is a response to citizens’ new mobility needs. The studies conducted by ZITY conclude that by 2030 more than 20% of trips made in cities will use shared mobility services. But could putting more cars on Madrid’s streets not increase traffic problems? On the contrary. Every shared vehicle replaces eight private ones, since it is used eight times more than a private vehicle, thus freeing up both roadway and parking space. It should be remembered that the ZITY fleet is comprised of 100% electric vehicles, a more efficient, less polluting solution than diesel or petrol vehicles given that they consume two thirds less energy, do not generate emissions and are more silent. Right from the start, ZITY had the support of Madrid´s City Hall. As Mateo insists, “our idea for shared, electric, non-polluting mobility is in line with the direction set by Madrid City Hall’s Air Quality Plan A. For us it was crucial that the municipal government was receptive to our proposal“. 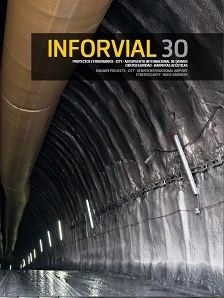 Within ZITY, Ferrovial Services is responsible for the operational management, which includes tasks such as logistics, maintenance, cleaning and operation. This new business line reinforces the commitment of the Ferrovial Services subsidiary to developing latest generation solutions for cities and, more specifically, in the field of sustainable mobility. This market represents a growht opportunity, since the company can contribute a great deal of knowledge and added value.